If the guest arrives after 18.00, it must be notified in the reservation, or else the reservation can be cancelled after 18.00. Modification or cancellation of a reservation must be done at least 24 hours before the arrival, and must be in writing. There is a charge for credit card payment of 5%.. Provided that the guest fails to arrive, and has not made a cancellation before 14.00 on the day of arrival, he or she will be charged for one overnight stay (No-Show) and 5% for credit card payments. 1. An event may be cancelled up to nine weeks prior to the start date without requiring the payment of a cancellation fee. For cancellation less than nine weeks prior to the start date, a 25% cancellation fee is charged. For cancellation less than six weeks prior to the start date, a 50% cancellation fee is charged. For cancellation less than two weeks prior to the start date, a 75% cancellation fee is charged. In the case of cancellation less than two weeks prior to start date, the hotel charges must be paid in full. No compensation fee is charged in the case of a reduction in the number of participants up to nine weeks prior to the start date. For a reduction in the number of participants up to six weeks prior to the start date, a 50% compensation fee is charged. For a reduction in the number of participants up to two weeks prior to the start date, a 75% compensation fee is charged. In the case of a reduction in the number of participants up to one week prior to the start date, the hotel charges must be paid in full. services ordered separately by the hotel for an event, and which give rise to additional costs for the hotel. The size of the compensation fee will be reduced proportionately if the ordered items can be utilised elsewhere under normal conditions. 5. In the case of the delay or cancellation of an event for traffic reasons immediately prior to the start date, the provisions of clause 2 may be re-evaluated. 6. No later than two weeks prior to the start date, the organiser/instructor must send a timetable/programme of the event to the hotel, indicating the times of meals and other catering requirements. 7. Rooms: No later than four weeks prior to the start date, a list must be sent of the names of the participants who will be requiring accommodation at the hotel. 8. Any deviation from these cancellation conditions must be agreed in writing between the hotel and the organiser. The terms and conditions below are the basis of an agreement between you as a customer and HOTEL SISIMIUT/ ARCTIC INCOMING/ VISIT SISIMIUT. We therefore hope that you will read the conditions before you book your tour and accommodations. HOTEL SISIMIUT/ ARCTIC INCOMING/ VISIT SISIMIUT has product insurance with Codan Insurance. HOTEL SISIMIUT/ ARCTIC INCOMING/ VISIT SISIMIUT only uses boats approved by the Danish Maritime Authority for passenger transport and tour and accommodations, and only boats with valid insurance coverage. Booking a tour and accommodation is binding for both customers and the tour and accommodation operator once the deposit has been paid. The names of the participants given to HOTEL SISIMIUT/ ARCTIC INCOMING/ VISIT SISIMIUT must be according to the names in the travelers’ passports. The following rules apply unless other conditions are stipulated in the tour and accommodation itinerary or practical information relating to the specific tour and accommodation on our website. Full payment must be made upon booking the tour and accommodation. Please note that some tours and accommodations have different conditions of payment and often have stricter conditions for cancellation, i.e. tour and accommodations utilising chartered ships or flights. These conditions will be stated in the tour and accommodation itinerary or practical information relating to the specific tour and accommodation on our website. Prices for children: Infants less than 2 years of age participate in our tour and accommodations for free onless its on boats. Children from ages 2-11 years (inclusive), participate in our tour and accommodations at a reduced price as per the price list for HOTEL SISIMIUT/ ARCTIC INCOMING/ VISIT SISIMIUT tour and accommodations. If the customer cancels a tour and accommodation up to 30 -15 days prior to departure, a handling fee of 85% of the total price of the tour and accommodation will be charged. Later cancellations: the customer has no claim to reimbursement. When the tour and accommodation is fully paid for and confirmed, it is not possible to cancel, change or hand over the ticket. We recommend that you buy health insurance and travel insurance, so your tour and accommodations are insured in case you, your travel companion or immediate family member becomes ill.
HOTEL SISIMIUT/ ARCTIC INCOMING/ VISIT SISIMIUT is not responsible for delayed flights between Sisimiut and Kangerlussuaq or any other destination. Should you be delayed on your journey to Sisimiut and Kangerlussuaq, resulting in you not being able to participate in a purchased tour and accommodation, we ask you to contact HOTEL SISIMIUT/ ARCTIC INCOMING/ VISIT SISIMIUT as soon as possible. We will try to move the tour and accommodation, but there is no guarantee of this being possible. HOTEL SISIMIUT/ ARCTIC INCOMING/ VISIT SISIMIUT reserves the right to cancel arrangements due to the following conditions: not enough participants, bad ice conditions, technical problems on boats and bad weather. It is the captain of the boat or HOTEL SISIMIUT/ ARCTIC INCOMING/ VISIT SISIMIUT who makes the decision to cancel a tour and accommodation e.g. due to bad weather – not the customer. 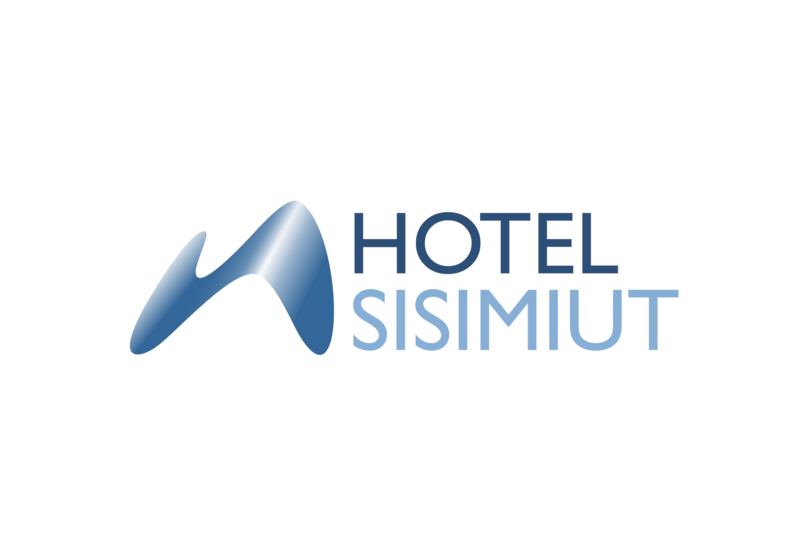 If HOTEL SISIMIUT/ ARCTIC INCOMING/ VISIT SISIMIUT cancels a tour and accommodation, because of the reasons mentioned above, the full amount will be refunded to the customer, including all other fees paid. If the customer has bought other tour and accommodations from HOTEL SISIMIUT/ ARCTIC INCOMING/ VISIT SISIMIUT, and one tour and accommodation influence the other tour and accommodations in the program, we will try to adjust the program at no additional cost, in order to offer the booked tour and accommodations, in a different order. If tour and accommodations in this connection should be cancelled we also refund these, provided they are booked through HOTEL SISIMIUT/ ARCTIC INCOMING/ VISIT SISIMIUT. HOTEL SISIMIUT/ ARCTIC INCOMING/ VISIT SISIMIUT doesn’t undertake the responsibility for other operators’ tour and accommodations if changes in the program affect these. Prioritization in case of cancellations: When tour and accommodations are cancelled because of the reasons mentioned above, it is possible that someone with a guaranteed ticket is unable to participate in an tour and accommodation, while others are able to. In such case, prioritizations are not made solely based on when the ticket is bought, as other considerations can play a part. HOTEL SISIMIUT/ ARCTIC INCOMING/ VISIT SISIMIUT assumes full responsibility of participation in the component tour and accommodations. Ongoing tour and accommodations can, for various reasons, be shortened or changed due to bad weather, snow conditions on the trail, ice conditions etc. The route or length of the sled tour and accommodation is sometimes changed because of the weather, the trail, ice conditions etc. If the sled driver deems it necessary to change or shorten the duration of the tour and accommodation due to weather and safety considerations, no compensation is given. Hiking Tour and accommodations can likewise change because of fog or other kinds of weather conditions that do not allow for the completion of the hike. If the guide deems it necessary to change the planned route or shorten the hike due to weather or safety considerations, no compensation is given. The route and duration of boat Tour and accommodations may change depending on weather and ice conditions. Changes to the route and duration of sailing tour and accommodation are made by the captain if necessary. Subsequently, the lost minutes of sailing will be refunded if this exceeds 25% of the total tour and accommodation time. There is no refund on any shortened time on land. Certain tour and accommodations can only be carried out with a minimum number of participants. The minimum number is specified on the tour and accommodation descriptions. We do, in a few cases, make exceptions and carry out tour and accommodations with fewer participants. Cancellation of tour and accommodations due to too few participants can happen up to an hour before the start of the tour and accommodation. If this should happen, we will do our utmost to offer an alternative tour and accommodation. If this is not possible, the tour and accommodation will be cancelled, and the client will receive a full refund. 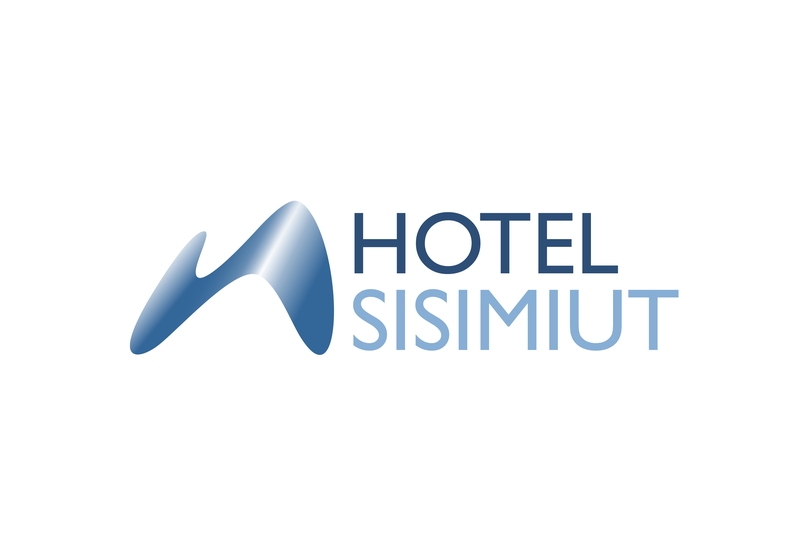 In the event of a cancellation and refund, no further claim for compensation can be made against HOTEL SISIMIUT/ ARCTIC INCOMING/ VISIT SISIMIUT. We reserve the right to change the times written on the ticket. We therefore recommend that you contact HOTEL SISIMIUT/ ARCTIC INCOMING/ VISIT SISIMIUT immediately after your arrival to Sisimiut or Kangerlussuaq to get an updated program for the day. • Please note that we continuously update our price lists, and that a tour and accommodation will always be sold at the current price even though the customer may be in possession of an outdated price list. • The same tour and accommodation may have been sold at different prices, because we rarely permit price increases to influence the price of tour and accommodations that have been booked prior to the price increase. HOTEL SISIMIUT/ ARCTIC INCOMING/ VISIT SISIMIUT reserves the right to increase the price after reservation due to changes in purchase conditions, cost of transport (including the price of fuel and taxes), foreign exchange quotations or other circumstances that cannot be take into account beforehand. However, please note that prices rarely increase after reservation. In keeping with legislation, and if practically possible, transferring one’s tour and accommodation (instead of cancelling it) to family or friends on the condition of paying a fee is an option. The size of the fee depends on the nature of the tour and accommodation. The tour and accommodation operator does not carry out resale of tour and accommodations already paid for, nor does the tour and accommodation operator guarantee that a change of traveler can be effectuated. If travel documents, other than the invoice, are required, these will be emailed or posted to the participants upon full payment. Additional travel documents include vouchers and itinerary that show the pre-booked services at your destination. If you are participating in an tour and accommodation with a guide or in an event described in our program, you will be given a voucher beforehand. We recommend that your passport is valid for at least 6 months after returning from your destination. HOTEL SISIMIUT/ ARCTIC INCOMING/ VISIT SISIMIUT has compulsory product insurances. However, it does not cover insurance of the participant’s personal belongings. Should personal belongings be damaged or lost on an tour and accommodation, it is at one’s own expense. We therefore recommend that you take out an insurance that covers these cases before leaving your home country. It is of paramount importance regarding transportation in case of illness, as well as home transportation, etc. when you are travelling abroad as your public health insurance normally does not cover this. All travelers are responsible for having the appropriate insurance coverage. Participation on a tour and accommodation presumes responsible and considerate behavior, and you are expected to comply with the directions of the tour and accommodation operator and its representatives. It is not advisable for travelers to venture alone into unknown and remote areas especially after nightfall. If you wish to be independent, this should always be in consultation with the tour and accommodation operator or its local representatives. Should the tour and accommodation operator not be represented at certain destinations, please consult relevant guidebooks for advice on specific conditions. These should be obtained from your own physician. Information given by the tour and accommodation operator about vaccination and/or prophylactic measures or other medical subjects should be considered a service that is under no medical liability. It will always appear from the itinerary whether special demands on physical ability and health are required for completing the tour and accommodation. A principal rule is that all travel participants must be self-reliant. Wheelchair users and people with a motor handicap are very welcome on many of our tour and accommodations, but please consult the tour and accommodation operator before booking an tour and accommodation. The tour and accommodation operator reserve the right to turn away participants who, based on the tour and accommodation operator’s professional opinion, will not be able to complete the tour and accommodation on their own. The tour and accommodation operator are not responsible for any such refusal. HOTEL SISIMIUT/ ARCTIC INCOMING/ VISIT SISIMIUT renounces any responsibility in relation to cancelled tour and accommodations and compensations for expected experiences. Furthermore, we also renounce any liability to pay compensation in relation to delays that cause the participant to miss a transportation connection. Furthermore, HOTEL SISIMIUT/ ARCTIC INCOMING/ VISIT SISIMIUT limits the liability to pay compensation for flight transport to the sum/amount laid down in the Warsaw Convention and for sea transport to the sum/amount laid down in the Athens Convention. Any complaints are to be stated during the tour and accommodation so that HOTEL SISIMIUT/ ARCTIC INCOMING/ VISIT SISIMIUT can attempt to rectify the unsatisfactory conditions or any other shortcomings. Also, they must be directed to the staff of HOTEL SISIMIUT/ ARCTIC INCOMING/ VISIT SISIMIUT immediately after the completion of the tour and accommodation. If the complaint is not resolved, a written complaint is to be sent no later than 3 weeks after returning from the tour and accommodation. All proceedings and disputes will be ruled upon according to the Greenlandic judicial system. When you have reserved n tour and accommodation at HOTEL SISIMIUT/ ARCTIC INCOMING/ VISIT SISIMIUT, we gather the following information about all participants: names, gender and choice of tour and accommodations. We will gather the following information about the payer: address, email and payment form. The participant names will be passed on to the shipping company, if a boat tour and accommodation has been purchased. In other cases, the information given to HOTEL SISIMIUT/ ARCTIC INCOMING/ VISIT SISIMIUT will not be passed on to third parties. We have done our best to avoid misprints in our catalogues, brochures, advertisements and on our website, but in the unlikely event this occurs, HOTEL SISIMIUT/ ARCTIC INCOMING/ VISIT SISIMIUT assumes no responsibility for misprints in these media. Any demand against HOTEL SISIMIUT/ ARCTIC INCOMING/ VISIT SISIMIUT is to be settled according to the Greenlandic judicial system.